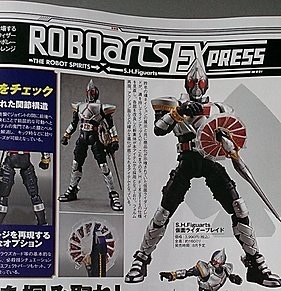 We finally get a release date for one of the most anticipated riders to come out of the S.H. Figuarts line. This is the S.H. 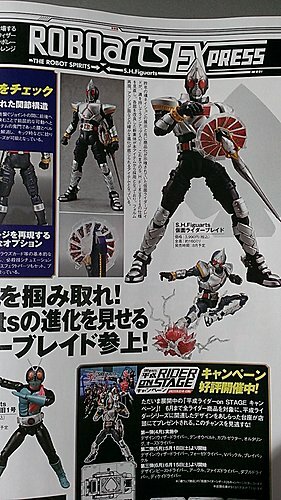 Figuarts Kamen Rider Blade previewed in this month's toy catalogs. 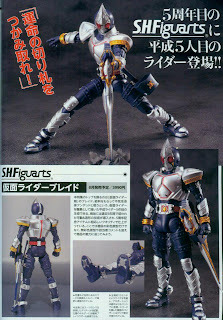 First seen during the Tamashii Nations 2012 event, the S.H. 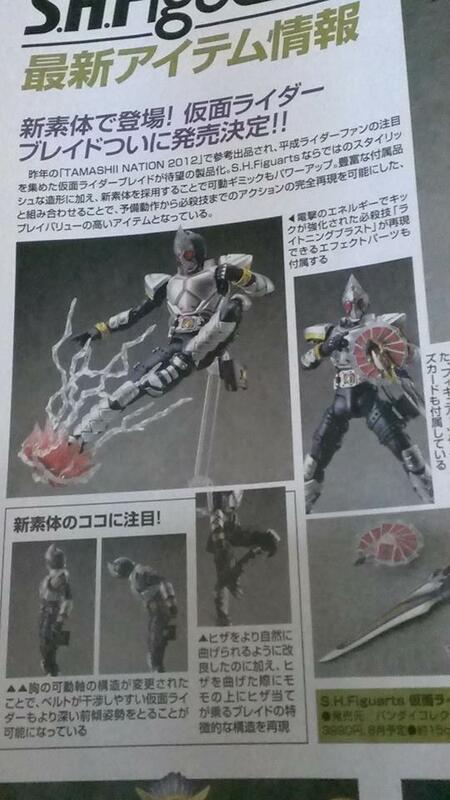 Figuarts Kamen Rider Blade will be retailing for 3,990 yen and set to release this August 2013. 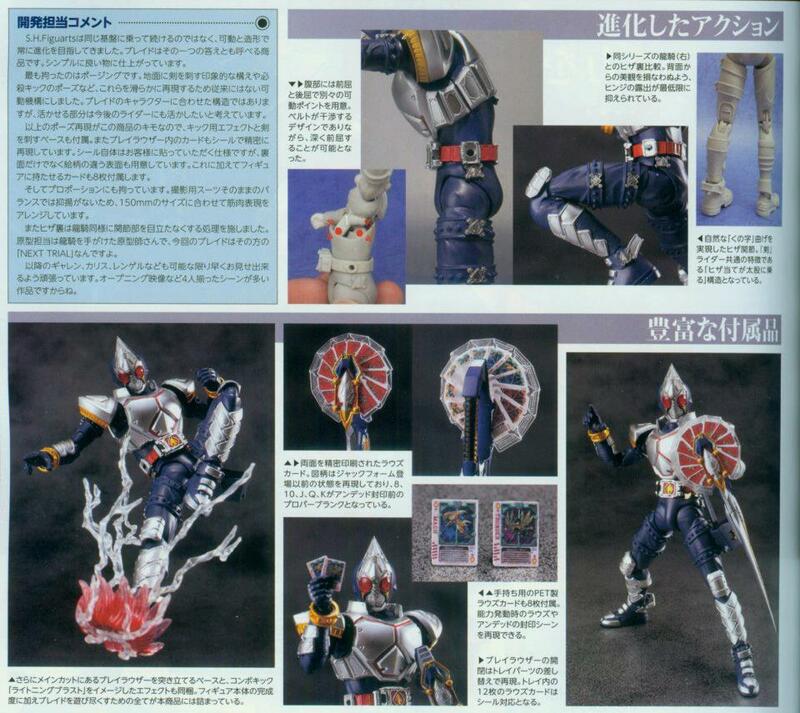 The figure stands about 150mm and will be inclusive with the BlayRouser, Rouse Cards and lightning effect part.